At Hemp Bombs, we understand that there’s a lot of talk around both the CBD and Affiliate Marketing industries. Indeed, you can barely open a YouTube video without seeing one of those “welcome to my house” or “click this link” schemes. However, we would like to provide you an honest opinion about our own affiliate marketing program, and give you a list of reasons why this isn’t a bogus trick but a real platform that people are being paid money for right now. All you have to do is sign up. First and foremost, CBD, and Hemp Bombs in particular, is a product that sells. As an affiliate, you’re really looking for two things. One would be the rate of commission, which we’ll talk about later. The other is whether or not any referral traffic you send to us will convert. Ultimately, that conversion comes down to how enticing your product is to a potential customer. Hemp Bombs packaging is designed to “stand out” to the customers as if you were passing by it in a store. This image is a studio image that we use for our marketing materials and our affiliate “Creatives” section. If you were browsing a site and saw this image used in a banner, wouldn’t you notice? Our unique packaging and presentation are a great selling point for potential business partners. Not only do they sell because they “stand out,” but they also create a unique brand identity that customers remember and stay loyal to. Another benefit working with Hemp Bombs is that our website rocks. We mean this on both the affiliate end and the consumer end. For our affiliate program, we use the popular AffiliateWP platform. For the green (new) affiliate, it is very straightforward and easy to navigate. It keeps a tidy record of all the things you need to know including visits, referrals, payouts and more. What affiliates should be most concerned about though is the UX or user experience of our website. The website is professional, clean, easy to move around on, and has plenty of content to engage potential buyers. It’s almost like if you were a realtor trying to sell real estate. You can make a ton of referrals, but if the presentation of the house just isn’t there, it doesn’t matter how many appointments you make. Even though Hemp Bombs averages 3 new users out of 4, we consistently beat average industry e-commerce conversion rates. While this has many reasons, certainly our UX is one of the most important. 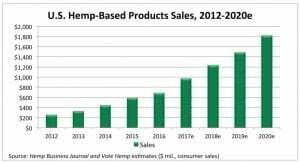 This should be encouraging to potential affiliates because all most all of their referrals will be first-time visitors to the Hemp Bombs website. A couple of the most important considerations for affiliates should be cookie expiration and commissions. Cookies are the tracking devices that affiliate marketing programs rely on to track referral purchases. Once a referral clicks on an affiliate link or image, a cookie is placed in their browser and will remain there until it expires. The catch is that affiliate managers like Hemp Bombs have control over the length of expiration. If the cookie expiration was five minutes, the person being referred would have to purchase within five minutes or else the affiliate would lose credit for that sale. Hemp Bombs offers extremely generous 90 day cookies so that affiliates can collect commissions up to three months after a visitor is referred through an affiliate link. As for the commissions, Hemp Bombs offers 25% as a starting point for affiliates. This means ythat any sale an affiliate generates, they will receive a quarter of the purchase total all without having to worry about the fulfillment of that sale. This is just the percentage floor for affiliates as well. If affiliates become superstar partners, we reserve the option of bumping them up to continue being incentivized. That’s right, we’ll say it. Hemp Bombs goes above and beyond to cater to their affiliates. Just this blog is an example. How many companies create entire sections dedicated to their affiliates including FAQ’s and affiliate video tutorials? We try to provide as much content as possible so that someone who has not affiliate experience can sign up and start making money. Working with Hemp Bombs doesn’t require a huge following or years of affiliate experience. We have created a program that is accessible to all users. Check out this fourteen minute affiliate tutorial that walks new affiliates through the affiliate signup process. As we pointed out in one of our distributor’s blogs, the Marijuana industry at large, and CBD specifically, are undergoing a period of huge growth. At the end of 2016, Forbes published an article where CBD was projected to become a $2.1 billion dollar industry by 2020. That is a 700% growth from the year 2016. Part of the reason there is so much growth is because of the increasing public support for CBD. For so long, the negative propaganda and misinformation around Marijuana kept people from being able to see its obvious therapeutic benefits. Now, Hemp Bombs’ CBD products do not have any THC and will not get you high, but, it is still in association with Marijuana. The more people that support the legalization of Marijuana, the better for CBD. This poll from CBS News shows the swing of American public opinion when it comes to the legalization of Marijuana. As of 2017, nearly ⅔ of Americans support legalization while seven out of ten Americans were anti-legalization in 1979. This trend will likely only continue with the attrition of false claims and negative publicity. The only logical end is full legalization and almost unanimous support. While for some affiliates this may be of lesser concern, by spreading CBD awareness and product, you truly are doing “good” for others. CBD isn’t a “myth” or a placebo effect. CBD has a real pharmacological effect on the Endocannabinoid System like prescriptions have effects on other systems within your body. Without going into too much detail, CBD integrates with your Endocannabinoid System like the chemical Anandamide, which is the bliss molecule associated with a runner’s high. While CBD has been connected with many benefits, users often report better and more restful sleep, pain relief, and uplift in mood. Check out these real customer testimonials from Hemp Bombs’ customers across the country. See how these individuals have been positively impacted by these CBD products. There are many reasons – financial and beyond – to become a Hemp Bombs’ Affiliate. We hope that this blog has helped convince you why you should register today. 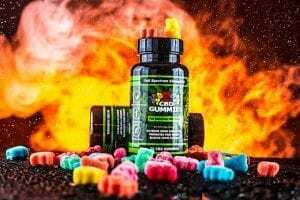 the gummys r a wonderful product aswell as the other products that u have the pain meds dont touch the pain that i have aswell as your products i have tryed it has brought down my blood pressure relives my stress & depression so if you havent tryed this product i highly recommend it to everyone to try it then the pharmicuticals that r put out by Eli Lilly & other companys like this my name is Shelia & i want to thank Hemp Bombs for your products.